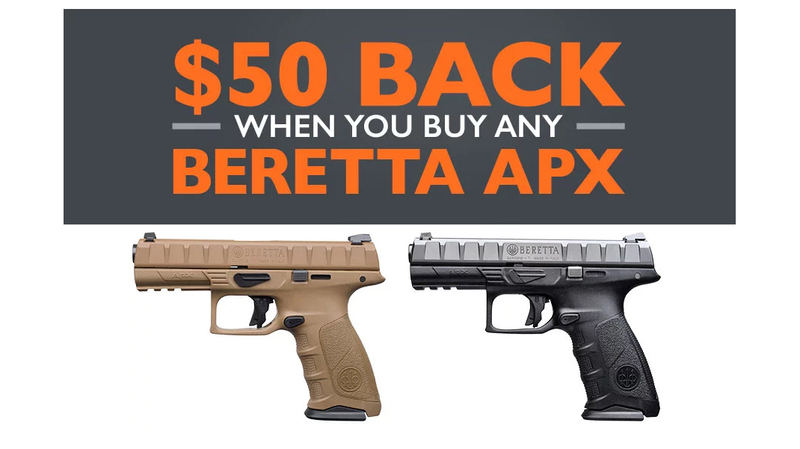 Buy any new Beretta APX and get $50 back. Offer valid on purchases made between October 1, 2018 and December 31, 2018. All you have to do is fill out the online rebate form or paper form and attach a copy of the original receipt or copy of your 4473. Once your rebate is processed, Beretta will mail you a $50 prepaid card.